Kevin Krigger, a 29-year-old from the Virgin Islands, is the first black rider to compete since Marlon St. Julien in 2000. (CNN) - History is against Kevin Krigger. 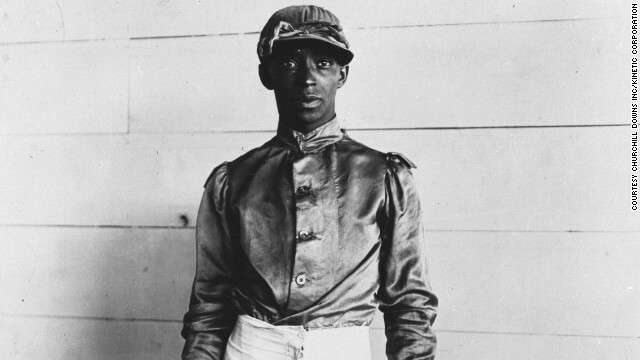 A black jockey hasn't won America's most prestigious race - the Kentucky Derby - for over a century. But in Krigger's mind, history has already been rewritten - we just don't know it yet. "I know I'm going to win. Why? Because I'm riding Goldencents," he told CNN in his lilting Caribbean accent. "I couldn't be this confident on any other horse." The bookmakers appear equally assured, placing Krigger as the second favorite to win the $2 million "Run for the Roses" - so called for its iconic blanket of ruby-coloured flowers draped over the winner. Kentucky is the first race of the U.S. Triple Crown series - followed by the Preakness and Belmont Stakes. But for many, the Derby - run on Churchill Downs' historic dirt track - is also a fabulous festivity, capturing the public's imagination in a way few horse races can. 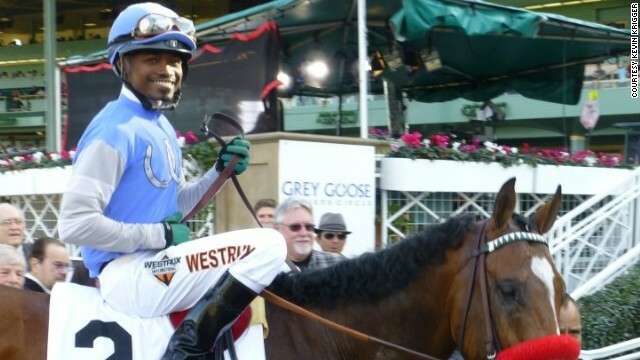 If Krigger's prediction is right, he'll be the first black jockey to win the premier race since Jimmy Winkfield took the trophy back-to-back in 1901 and 1902. Today, look out across any U.S. race track and you'll likely see an ocean of white - and increasingly Latin American - jockeys at the helm. But turn back the clock 150 years and African Americans ruled the field - when the Kentucky Derby first launched in 1875, 13 of the 15 jockeys were black. Much like the NBA today, black athletes dominated horse racing for the next three decades, winning 15 of the first 28 Derbies. (CNN) - Think of the greatest American sports stars of all time and names like Jessie Owens, Muhammad Ali and Serena Williams will likely spring to mind. But long before these champions smashed the record books - and blazed a trail in the public's imagination - the first generation of black U.S. athletes dominated an unlikely sport. The godfathers of Owens, Ali and Williams weren't stereotypical towering, musclebound men found on basketball courts or in boxing rings. Instead, they were the jockeys of the race track and their dizzying success - and dramatic fall - is one of the most remarkable buried chapters in U.S. sporting history.